As part of our partnership with the ‘Pork Te Inspira’ Campaign from the National Pork Board we joined the fun at the recent Fun & Fit as a Family event held at Miami’s Jungle Island where young chefs turned into ‘Little Pork Gurus’ to talk about healthy recipe options and food alternatives. The group of aspiring mini chefs at the ‘Sabios del Sabor’ afternoon were led by Latina Chef Doreen Colondres who had mucho fun teaching participating kids new tricks but also hearing their own ideas. Introducing our new Los Tweens & Teens Food Editor GianCarlo at the Sabios del Sabor event. We attended with our new Food Editor GianCarlo and watched Chef Colondres talk to the kids very clearly about new recipe ideas, getting in the kitchen and really trying new foods. The kids were excited to participate and had the opportunity to create and enjoy their own mini healthy pizzas and create pork meatballs as a healthier alternative. 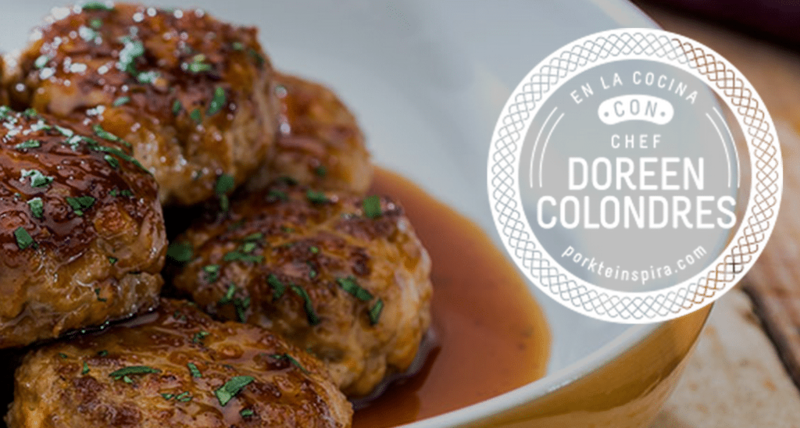 Nos encanto tanto la receta de las albóndigas, que aquí lo tienes! Que disfrutes de tan rica comida. 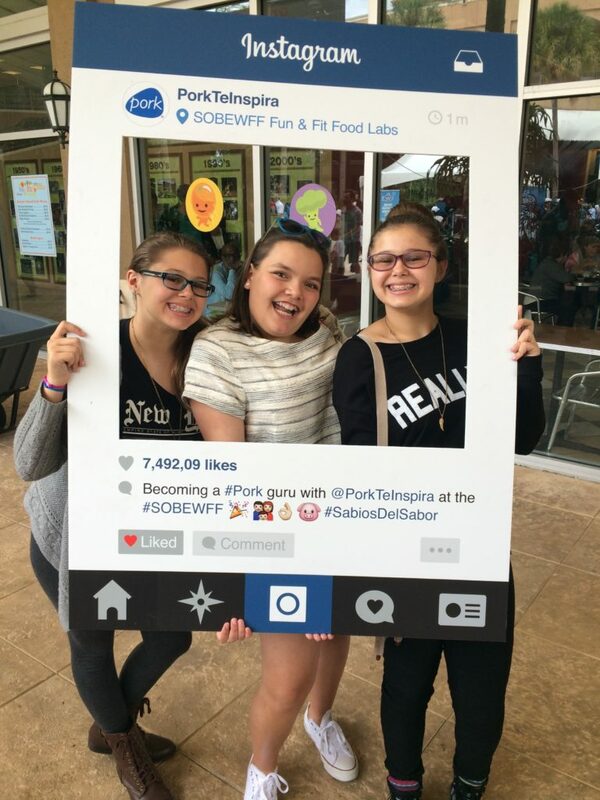 And our Los Tweens ‘Teen’ Reporters Sophia, Gianna and Olivia had fun checking out the food demonstrations and tastings at the Pork Te Inspira program and added activities throughout the day at Fun & Fit as a Family. 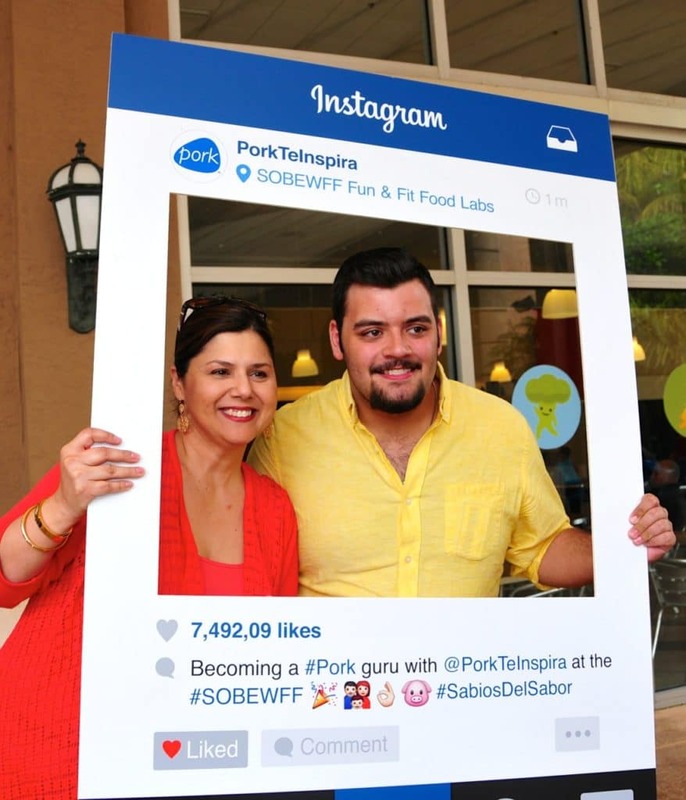 Check out our first Pork Te Inspira post on Los Tweens! Young ‘Teen’ Reporters get in on the cooking fun too! Do you have the kids in the kitchen? Tienes a los chicos cocinando desde una edad joven? Share your thoughts on tweens learning to cook from a young age. This entry was posted in Fitness and Health, Recipes and tagged Food, Pork Te Inspira, recipes. Bookmark the permalink. Yo estoy comenzando a cocinar el cerdo, porque de niña y adolescente me hicieron creer que este no era saludable (mucha grasa) pero de adulta descubrí que el cerdo bien magro puede ser mejor que la carne roja. GRACIAS por esta información. Que maravilla de evento. Me imagino todas la delicias que lo inspiraron y se ve que todos los asistentes lo disfrutaron mucho. Te cuento que yo también tenía mis reservas para cocinarlo porque yo también crecí con la idea de que no era saludable. Al pasar del tiempo vas creando tu propio criterio y ahora disfurtamos mucho de esta comida. Linda experiencia.. Felicidades. Que rico disfrutar de este evento, el cual al ver tus imágenes y relato me ha inspirado a crear deliciosos platillos junto a mi hijo, quien por cierto disfruta mucho el poder ayudarme mientras cocino. ¡Qué divertido evento y qué delicia de comida! Genial motivar a nuestros hijos a cocinar con nosotras!! That is such a great event! It’s important to keep the kiddos entertainment with valuable tasks!